Trust me, I’m there with you. Cliche as it may be, it’s a new year and I wanted to do “something big” to kick it off, setting the tone for a (hopefully) healthy year. 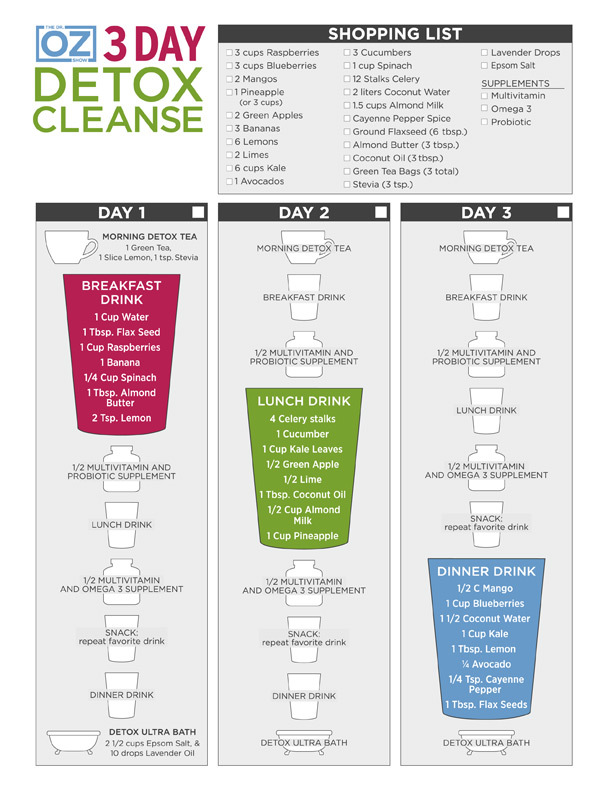 I completed the Dr. Oz 3 day Detox Cleanse. It’s not technically a juice fast–more of a smoothie fast! I chose to go this route because, unlike with many pre-made juice cleanse systems, the protein, fiber and fat aren’t lost. I blended mine in a magic bullet blender. The best thing about the program is there is a SHOPPING List, and I was able to get everything I needed for around $60! Most pre-made cleanses are that much a day! Day 1 I felt fine. No hunger pains… no cravings… I was a little sleepy since caffeine is cut out, but that was really it! Day 2 was a little more challenging. I was fine until around 2:30, that’s when I started to feel it a little. (It didn’t help that cake was being served in the office) But I pushed through and once I got home and had my dinner drink, I felt fine! Day 3 was the easiest of all three days. I felt energized and the sugar from the fruits in the juices had me feeling chipper as ever. As my work day winded down, I started feeling very sleepy. I felt extremely relaxed once I got home. Day 4 (back to reality) I felt amazing! I work up and make a veggie and goat cheese omelette. It was the perfect re-introduction to solid food. My skin cleared and brightened up. 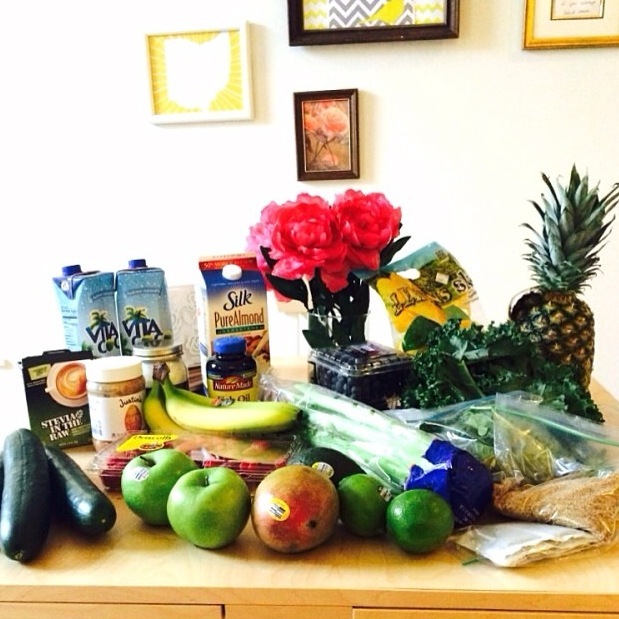 I would recommend this 3-day detox cleanse and I would do it again in 6-12 months. 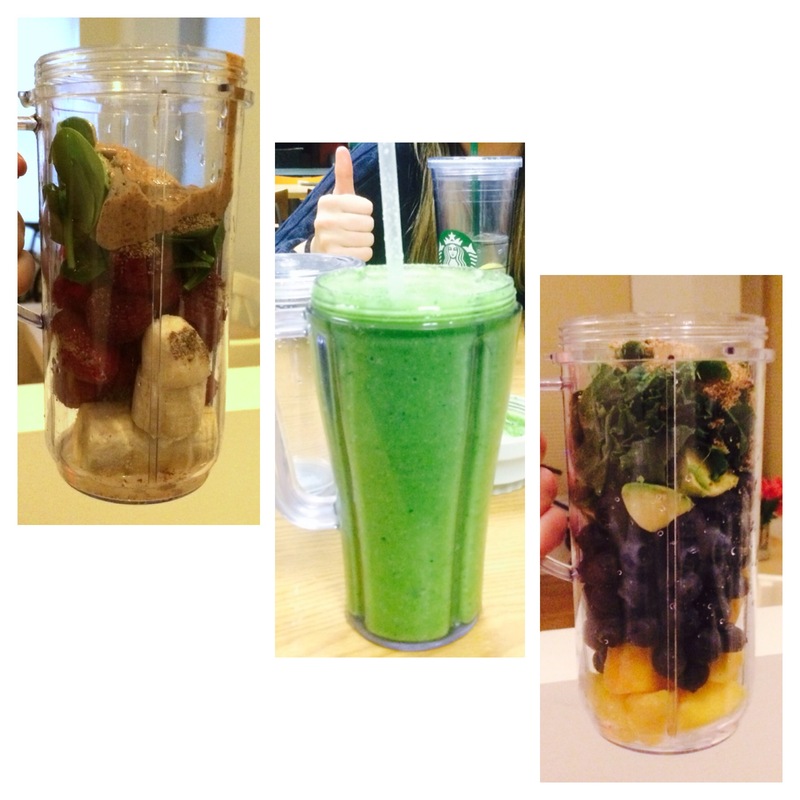 Awesome job on your smoothie cleanse! Cleanses are really powerful, especially if used for the purpose of long-term dietary change!